Our mobile pump out service comes to you. In Seattle, La Conner and Anacortes, we offer you a convenient alternative to the pumpout station, and an environmentally friendly way to dispose of your waste. We even include a freshwater rinse and OdorLos tank treatment – no more holding tank smell. Just call us at (877) 786-7631. We’ll have you pumped and ready for your next cruise. Liveaboard ? We give you that empty feeling every time. Check our special liveaboard packages. 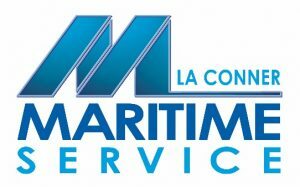 For over 40 years La Conner Maritime has been operating a diversified, full service boatyard equipped to handle multiple service, refit and repair projects simultaneously. Our two marine travelifts are capable of hauling vessels up to 110 tons, and our wide array of in-house services, friendly expertise and extensive vendor network will help insure your project is completed in a timely and efficient manner. Nordic Tugs, The Original Tug-Style, Cruising Trawler! Since 1979, Cap Sante Marine has proven to be the #1 choice among Northwest boaters for yacht service and boat repair including refits, rebuilds and custom projects. Cap Sante’s capabilities include boat launch and haulout up to 50 tons, full mechanical services, electrical installation repair, and an indoor heated fiberglass, gelcoat and paint shop. We also offer a fully stocked parts department with knowledgeable “solution oriented” staff. Now with two on the water location in Anacortes to serve you, one at Fidalgo Bay and one at Skyline Marina. Don’t forget Cap Sante Marine offers PaNNTOA members an 8% discount on parts and labor. ALT Insurance Group is an all lines broker with a specialty niche in yacht Insurance. 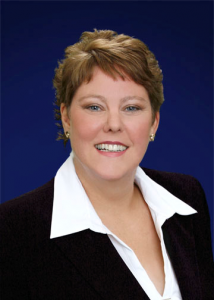 With over 30 carriers and 29 years in the insurance industry, we tailor your insurance to your needs. Being available to our clients 24/7 has helped us to maintain superior service. Being a life long boater gives me the passion to do the best job. Call my cell any time! Fisheries Supply Company, a family-owned business opened its doors in 1928 at Pier 55 on Elliott Bay in Seattle, Washington. They originally served commercial fishermen and canneries in the Pacific Northwest and later expanded to serve customers in the commercial and pleasure boat markets. 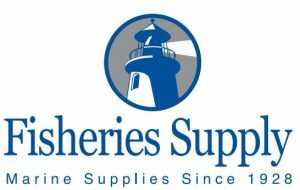 Now located next to Gasworks Park, Fisheries Supply has become the largest distributor of marine products in the Pacific Northwest. With a 36,000 square foot warehouse and one of the broadest selections of inventory you are sure to find just what you need. Customers can place orders at www.fisheriessupply.com or by calling 1.800.426.6930 or you can visit the supply store that is conveniently located on top of our warehouse at 1900 N. Northlake Way in Seattle. Fisheries Supply’s sales team, many of whom are also boaters, have exceptional product knowledge and can answer almost any of your boat-related questions and help you locate those hard-to-find replacement parts. PaNNTOA members receive discounted pricing on items purchased from Fisheries Supply. There’s a proud heritage here, a story of quality and efficiency. Nordic Tugs are simply more stable, more efficient, and safer than most trawlers. We think Nordic Tugs are tops for Quality and Craftsmanship – way beyond most manufacturers, please let us give you a personalized factory tour and show you the quality difference! Our dealership is growing, and we are now a full service dealership with our own maintenance, detailing, Certified Pre-Owned, and marketing departments. Having clean boats displayed well, professionally photographed, detailed by our in house staff, and priced to sell within a 3 to 6 months has really attributed to this dealerships recent success. While we try to be simple on the outside, we understand that the industry has changed. In order to combat the challenging economic environment, Nordic Yachts Northwest has become an “operational dealership.” That means that not only do we sell new and Pre-Owned Nordic Tugs and Aspen Power Catamarans via our brokerage, we also combine the Gateway Yachts program as well as offer full charter and boat management services! This changes the business dynamic as our dealership benefits from having new boats to show without the traditional inventory expense. Stop by anytime to visit the dealership! If you want to visit the Nordic Tug Factory, give us a call and we will arrange a time to take you on a tour. You can see the building process of both Nordic Tugs and Aspen Power Catamarans! It’s a great experience; we highly encourage you to check it out.